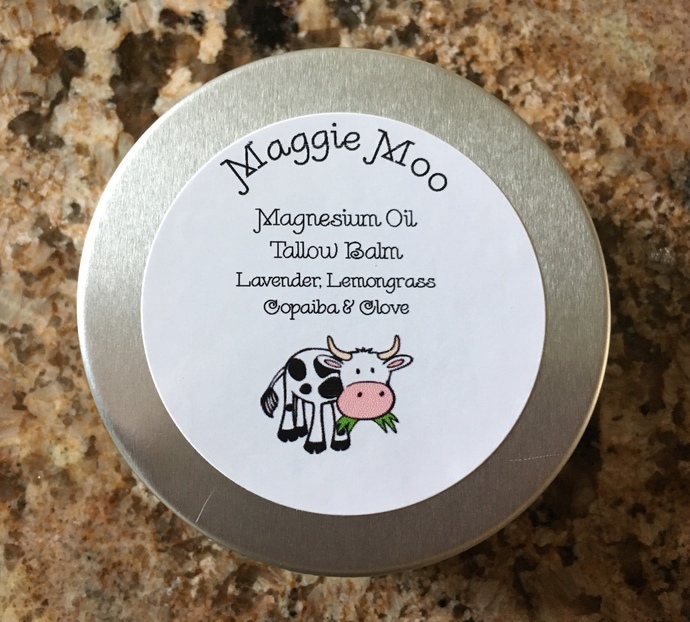 Magnesium oil and grass-fed beef tallow balm combined into one product! I created this thick, creamy balm full of tallow and magnesium goodness and scented it with Organic Lavender, Lemongrass, Copaiba and Clove essential oils. It smells delightful, is non-greasy, and is a great way to get a little magnesium into your body. MAGNESIUM is needed for more than 300 biochemical reactions in the body. It helps to maintain normal nerve and muscle function, supports a healthy immune system, keeps the heart beat steady, and helps bones remain strong. It also helps regulate blood glucose levels and aid in the production of energy and protein. Used as a remedy for a number of ailments, magnesium most notably has been credited with decreasing stress, sustaining a sense of well-being, improving sleep, and improving skin quality. TALLOW is very compatible with our cell biology and is readily absorbed by the skin. Tallow balm does not have a greasy look or feel--it is taken up by the skin as nourishment and softens the skin quickly. Furthermore, a little balm goes a long way, unlike with most commercial lotions that contain a large amount of water. A tallow balm can be applied anywhere on the body, including feet, hands, face, and even lips, so there is no need for multiple skin care products, since tallow is perfect for every skin care need. Just as it took years to build up our toxic burden, it may take some time to see the benefits of the small changes you are making, but hang in there!! 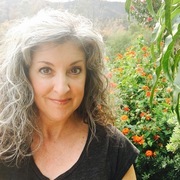 I hope you love my products as much as I do!